Tech shares, which have had a tumultuous start to the month, started scaling north following strong quarterly results from Apple (NASDAQ:AAPL) among others. While computer and software makers are having a ball owing to the White House’s initiative to trim tax rates, high-end gaming, emergence of Internet-of-Things (IoT) and automation are driving demand for chips. Tech and Internet-related companies are likely to be the biggest beneficiaries of the latest buyback programs on the back of tax reform and solid cash flow. After all, buybacks boost earnings per share leading to an uptick in the share price. Given such bullishness, investing in some of the biggest and best known Silicon Valley stocks seems judicious. Needless to say, that Silicon Valley is the heart of the technology sector. As tech companies continue to dominate the equity market, total earnings for the sector are up 35% on 12.9% higher revenues in the second quarter, with 89.7% beating earnings estimates and 87.2% trumping revenue estimates. Tech bellwether Apple, in the meantime, became the first U.S. company with a market cap of more than $1 trillion. And it’s only after the company reported strong earnings results for the quarter ended Jun 30. It’s earnings per share grew 40% year over year and revenues increased 17%. 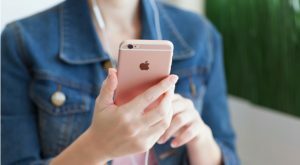 Growth in products including Apple Watch, AirPods, Beats headphones and iPhones helped the Cupertino-based company report stellar numbers. By the way, Apple’s guidance for the upcoming quarter is also above Wall Street predictions. The Republican tax overhaul policy is providing the much-needed windfall to tech companies. The extra cash from tax cuts is helping tech companies pursue merger and acquisition activities. The prospect of a cut in personal taxation is also a major driving force for tech firms. With more cash in hand, investors have more room to invest. 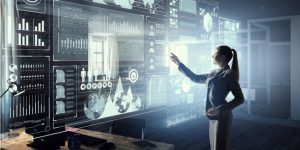 At the same time, IoT, which connects various devices to the cloud, is expected to be a huge growth driver for tech majors. 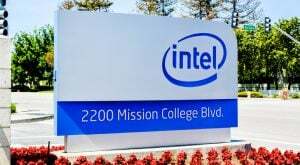 Chip makers, for now, are making giant strides as chips are in demand for some of the fastest growing tech industries in the world like e-sports and crypto mining. E-sports, a multiplayer video game for professional gamers, need thousands of semiconductor chips for production. These chips are an essential part of crypto mining as they provide the processing power needed for decoding blockchain algorithms. The latest buzz in the stock market is buybacks. Goldman Sachs (NYSE:GS) predicted that stock repurchases will reach $1 trillion this year, up 46% from last year. Buyback authorization, in fact, is expected to surge this month. Goldman added that August typically accounts for 13% of such deals for the year. And tech accounts for the largest share of such buybacks. In the second quarter itself, share repurchases are up 57% from the same period a year earlier, while buybacks in the tech sector surged 130% year over year, per Howard Silverblatt, senior index analyst at S&P Dow Jones Indices. Thus, tech stocks are poised to be the biggest beneficiaries of the $1 trillion-buyback bonanza, given many of them are yet to conclude their existing repurchase programs. Investors, thus, should double down on the hottest tech stocks as they continue to scale higher on buybacks, favorable government policies and earnings strength. We have selected five such stocks that flaunt a Zacks Rank #1 (Strong Buy) or 2 (Buy). Apple (NASDAQ:AAPL) manufactures, and markets mobile communication and media devices, and personal computers. Currently, the company has a Zacks Rank #2. In the last 60 days, 10 earnings estimates moved north, while none moved south for the current year. The Zacks Consensus Estimate for earnings rose 2.5% in the same period. The stock’s expected earnings growth rate for the current quarter and year are 32.9% and 26.8%, respectively. The company has outperformed the broader industry in the past year (+30.6% vs +22.8%). 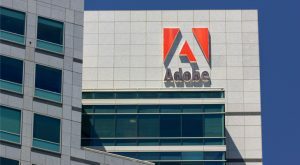 Adobe Systems (NASDAQ:ADBE) operates as a diversified software company. The company currently has a Zacks Rank #1. In the last 60 days, 11 earnings estimates moved north, while none moved south for the current year. The Zacks Consensus Estimate for earnings advanced 3.9% in the same period. The stock’s expected earnings growth rate for the current quarter and year are 52.7% and 54.1%, respectively. The company has outperformed the broader industry in the last one-year period (+71.9% vs +21%). Intel (NASDAQ:INTC) manufactures, and sells computer, networking, data storage, and communication platforms. Currently, the company has a Zacks Rank #1. In the last 60 days, 15 earnings estimates moved north, while none moved south for the current year. The Zacks Consensus Estimate for earnings rose 7.8% in the same period. The stock’s expected earnings growth rate for the current quarter and year are 13.9% and 19.4%, respectively. The company has outperformed the broader industry in the past year (+35.4% vs +25.9%). Xilinx (NASDAQ:XLNX) designs and develops programmable devices and associated technologies. Currently, the company has a Zacks Rank #2. In the last 60 days, nine earnings estimates moved north, while none moved south for the current year. The Zacks Consensus Estimate for earnings increased 2.8% in the same period. The stock’s expected earnings growth rate for the current quarter and year are 15.4% and 5.3%, respectively. The company has outperformed the broader industry in the year-to-date period (+8.5% vs +8%). 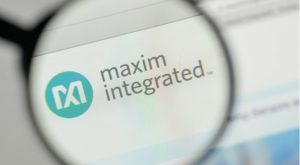 Maxim Integrated Products (NASDAQ:MXIM) designs, develops, manufactures, and markets a range of linear and mixed-signal integrated circuits. Currently, the company has a Zacks Rank #1. In the last 60 days, 11 earnings estimates moved north, while none moved south for the current year. The Zacks Consensus Estimate for earnings rose 7.2% in the same period. The stock’s expected earnings growth rate for the current quarter and year are 25% and 14.8%, respectively. The company has outperformed the broader industry in the last one-year period (+39% vs +25.8%). Article printed from InvestorPlace Media, https://investorplace.com/2018/08/5-silicon-valley-stocks-buy-tech-juggernauts-roll-ggsyn/.